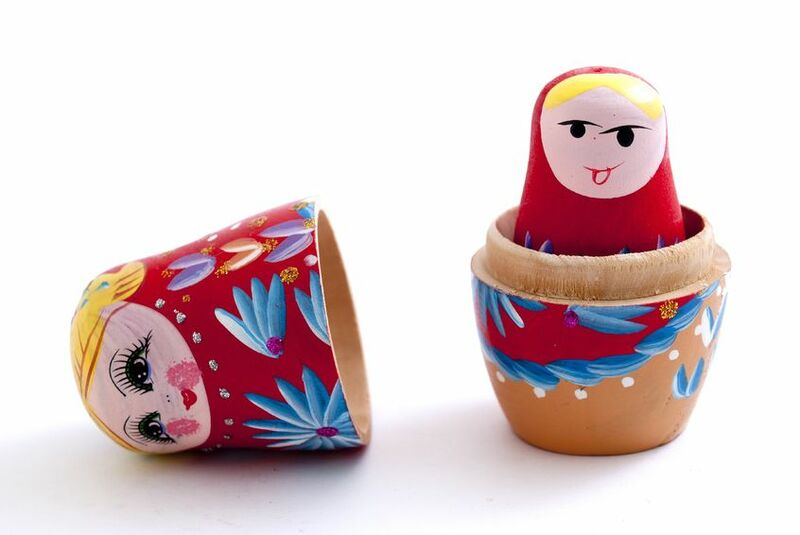 Packaging design could be likened to Russian nesting dolls. The inner doll is a rogue transformer who can take on any shape and size. Each of the incrementally growing dolls protect the one below — and each doll that follows must look and perform flawlessly. No pressure! For packaging engineers, though, the challenge is worthy. The gauntlet is thrown down. The first step in conquering your ideal medical device packaging is designing its primary package–the rogue little doll. We will look at the details of your device: is it a single piece? Are there different parts? Is it a kit? Then, we’ll consider everything from a Tyvek peel pouch to a rigid tray – or something else – until we know it’s the best solution for that product. Is your device symmetrical in size? Are there vulnerable points in its shape? Are there protrusions that could stress packaging? How much does it weigh? Once we’ve analyzed both its universal and unique characteristics, then identified the best primary packaging approach, we’re ready for the next layer of protection. This is where shape, angles and materials direct our thinking. By analyzing all features and dimensions, we can predict where problems could occur if not addressed during the packaging design phase. We may create a backer card for extra support. Or, we’ll call for thermoplastic polyurethane sleeves to protect finishes against abrasion or other contact. And other instances send us back to the drawing board for the right retainers to protect from movement. Once all of the primary and protective packaging components are determined, the primary package can be accurately sized and specced out. After the device packaging is set, remaining design needs are twofold: deciding what’s the best carton for the packaged product and what is the best shipping package to house quantities of the cartons. When choosing a carton, we look for ways to minimize the overall size without sacrificing performance as a protective unit. Additionally, even minor reductions in carton sizing can save significant money when thousands of those boxes must be manufactured. A compact carton also saves shelf space for end user storage. On the flip side, if the carton is too small, inner packaging can be at risk for a breach in the sterile barrier caused by stress from any folds or wrinkles in the package. We can build extra protection into the carton if need be, by adding inserts to restrain the movement of the product when in transit. Finally, choosing an outer box also requires that we consider how many packaged units it will hold. Weight is the key factor in setting the performance criteria for the outer shipping box. Higher weight dictates the grade of materials that will be necessary to maintain quality throughout the shipping process. While it’s easy to balk when pricing shows the need for a double-walled shipper, we can recommend from experience: pay the comparatively small upcharge. Many a launch has been completely derailed by thinking that all paperboard is created equal. Test the “Nest”: Which Doll Will Crack? All three undergo transit testing, visual inspections and then an ASTM F2096 bubble leak test to confirm that internal sterility was maintained. If all three options pass, we can offer all three and leave it up to you as to which packaging design you prefer. Sometimes, one design will clearly outperform other concepts, making it obvious what we’ll recommend. These steps all build confidence in the suitability and durability of the final packaged product. By using extreme conditions as testing parameters, confidence is even higher that there will be no unwelcome surprises down the road, in the air or across the sea. Having an experienced packaging engineering partner is a cost-effective, time-saving means of getting your medical device to the hospitals, practices and patients who need it—and creating a healthy future for your company at the same time. Many launches have been completely derailed by thinking that all paperboard is created equal.